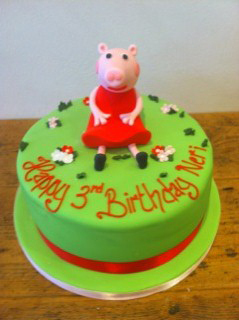 And the prize for the most popular children’s character cake goes to Miss Peppa Pig! 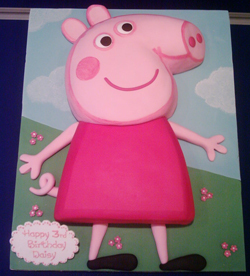 We regularly get asked to make Peppa Pig birthday cakes in various forms depending on a client’s budget and what their child wants and pretty much anything is possible. 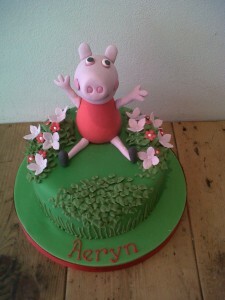 At the more simple end we make Peppa Pig as a sugar model in a garden scene sitting on a round cake. 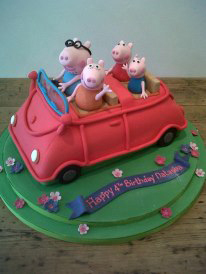 More complex Peppa Pig birthday cakes feature Peppa and family on an outing in their red car or a 2D Peppa Pig cake where the cake is shaped like her but lying flat. 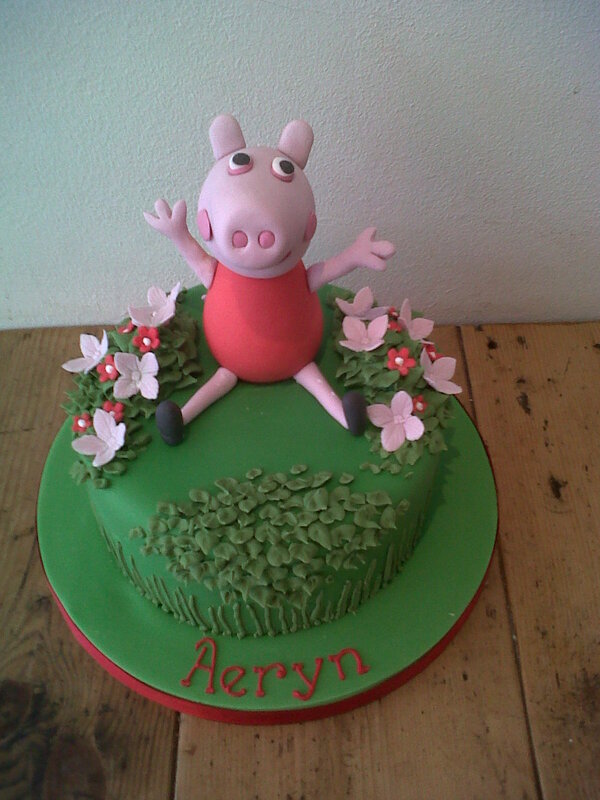 If your little one is a fan of Peppa Pig or George Pig get in touch with the team at Cakes by Robin to have a personalised cake designed just for you. 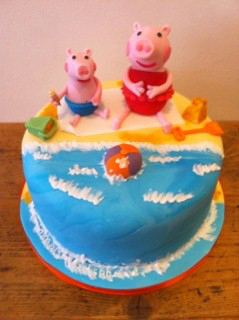 You can see more of our past Peppa Pig novelty birthday cake creations on our website or if you prefer, you are always welcome to pop into our shop in Southfields and see some examples of our cakes first hand, and why not have a tea and cupcake while you’re here.